Self Levelling 360° Rotary Laser projects both a horizontal or vertical highly accurate green beam with an accuracy of +/-1.5mm@30m. Durable design with IP67 rated water and debris resistance makes it ideal for outdoor applications. Featuring automatic self levelling mode on tilts up to +10º using manual single slope mode, automatic rotary scan mode and detection pulse mode. Manual RPM allows the laser to be adjusted according to preferred speed. Laser has a working range of 76m and detector range of 600m. Onboard and remote control panel has been designed to be user friendly. 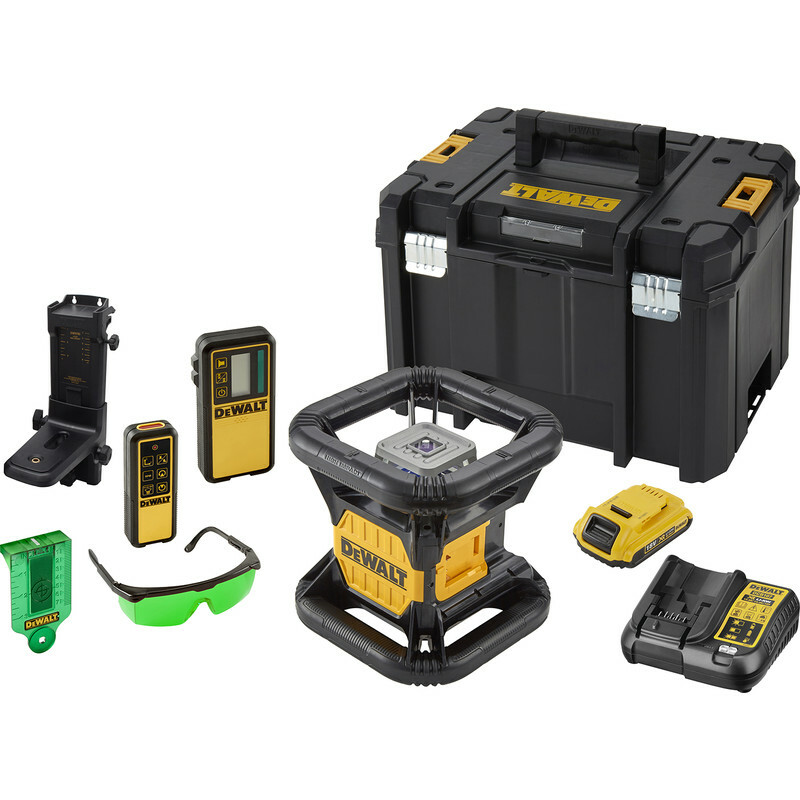 Kit includes a T-Stak box, 18V 2Ah XR battery pack, charger, target, laser detection glasses, detector, mounting bracket.